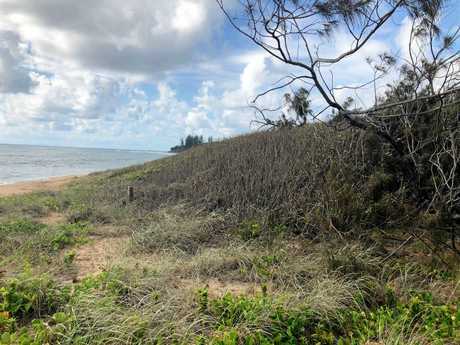 A SUNSHINE Coast councillor has claimed the poisoning of vegetation at Shelly Beach, Caloundra was potentially "a good thing" because it would provide more open dune for turtle nesting. The poisoning which occurred late last year was the second in two years to occur in dunal vegetation at Shelly Beach. Deputy Mayor Tim Dwyer said the council would seek to prosecute the offender if one could be identified. "The location affected by the vegetation damage is near the high tide mark and whether intended or not, potentially provides more open dune for turtle nesting," he said. "A good thing. The interference was not about improving view lines as the location affected does not give any resident better views. Poisoned dune vegetation on both sides of Access 277 at Shelly Beach. "Previously this location had cottonwood growing over open sand, thus reducing the amount of open, unobstructed beach available for turtle nesting opportunities. "With the tree regenerating naturally, the gain in open dune space for nesting purposes may not last long. "The area already has a sign in place advising that any unauthorised interference with vegetation and/or unauthorised planting of vegetation is illegal, just as it is in all public realm locations." 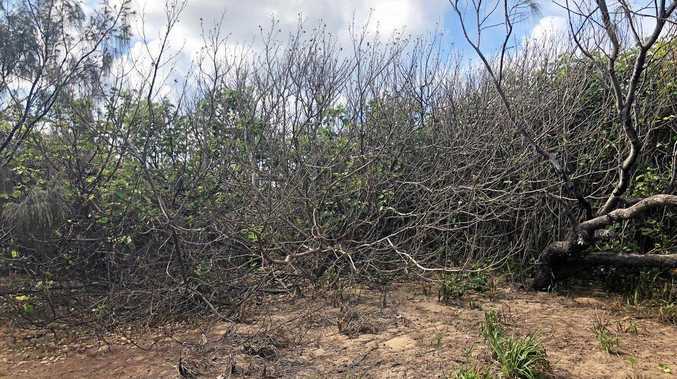 Poisoned dunal vegetation at Shelly Beach after the second attack in two years. Beach and turtle care groups fear the loss of dunal vegetation may ultimately impact the attraction of the Shelly Beach dunal system for nesting turtles. Wildlife Queensland Sunshine Coast secretary Jude Crighton said one of the Shelly Beach Bushcare volunteers had first noticed the damage in October. Photos were taken and forwarded to the council through the public inquiry line. Mr Crighton said the council had engaged civil contractors to take soil and vegetation samples which were then tested at the Queensland Health National Association of Testing Authorities-accredited laboratory. Results received by the council on December 4 found a substance that contained Picloram, Triclopyr, Aminopyralid and Metsulfuron had been used. The herbicides have checkered histories but were generally present in products sold to gardeners. The council has not responded to questions about the outcome of any investigation into the previous poisoning of cottonwood trees at Shelly Beach. Following that incident Cr Dwyer drove a decision to implement a study to determine whether the trees were suitable for the coastal environments where they were common along the Sunshine Coast. He also attempted to have cottonwood trees considered for addition to the 270 pest plant and animal species identified under the council's draft biosecurity plan after a failed attempt in March, 2017, to have cotton wood trees removed and pruned along with casuarina and pandanus trees which stood between Shelly Beach homes and the sea to improve views. The plan, which was to allow residents in those homes better ocean views, was voted down by seven other councillors and the Mayor. 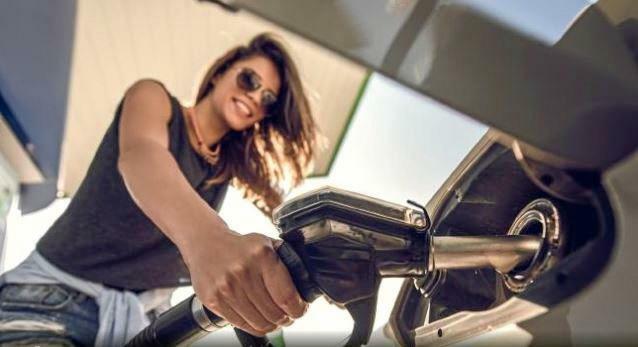 A Sunshine Coast Council spokeswoman said it took the matters very seriously. "As a result of vegetation testing, a number of chemical agents have been identified. Council will continue investigating this incident as evidence comes to hand," she said. "Council was successful in prosecuting a 2018 case of significant vegetation clearing at Lake Weyba, where the total penalty and costs awarded was $119,193. "Anyone with information on this latest incident is urged to contact council on 07 5475 7272. "The affected section of tree is regenerating naturally and will continue to be monitored."